While Illinois-based Shure Incorporated is iconic, compared to many mic manufacturers it’s not that prolific. Many of Shure’s models receive an occasional incremental A or B update, but the bulk of their microphone line has remained largely unchanged for years. Of course, when you are the company responsible for the SM57, SM58, SM7, and Beta 52… what’s to change? Shure is one of the few old-guard microphone companies to still have microphones in its line dating back decades! 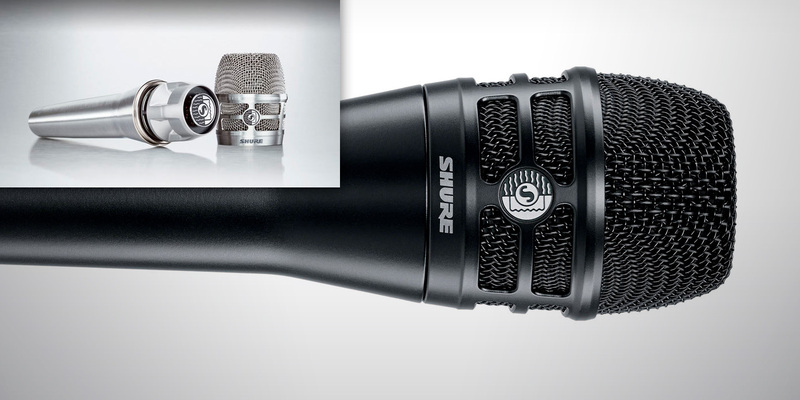 When Shure does introduce a brand-new mic design, it’s cause for attention. This past January at the Winter NAMM show, Shure unveiled the new KSM8 Dualdyne microphone, possibly the first new innovation in dynamic microphone technology in decades! The suffix “dyne” nods to Shure’s historical Unidyne models, of which the model 55 was the very first single-element directional dynamic mic. Today’s venerable SM57 and SM58 are themselves updates of past corresponding Unidyne III models. The “Dual” prefix references the fact that the KSM8 is the world’s first dual-diaphragm dynamic handheld microphone. Why is this important? Let’s look closer at the design of the KSM8, the benefits of a dual-diaphragm capsule, and how that translates into sound and use. Visually the KSM8 bears a strong resemblance to the company’s KSM9 handheld vocal condenser. It starts with a similar slim tapered body designed to fit comfortably in the hand and blooms out at the head. Not just for looks, the tapered part is there to encourage singers to hold the mic by the handle and not cup the mic at the base of its head, which alters the rear input and rejection properties of a dynamic microphone. It measures 7 1/2″ x 2″ and weighs 11.64 oz. Its body is made from diecast aluminum and it comes in a choice of two styles: a smooth textured black finish or brushed nickel. Emblazoned on both sides of the grill is the vintage Shure logo. The black version is unassuming and modern, and a few times I mixed it up with the aforementioned KSM9 when not paying attention while reaching for one or the other. The brushed nickel finish is a pure vintage nod to the older Unidyne series and is my personal favorite of the two styles. Unscrewing the head basket reveals the mic cartridge. It’s one of the nicest industrial designs I have seen in a microphone, dynamic or otherwise, inside or out. There is even a little hidden prize in the form of a large vintage chrome badge atop the cartridge. Other than the special logo end cap, this design is not just for looks, but before digging deeper let’s consider the grille cap for second. It is made from hardened carbon steel and unlike the simple internal layer of foam found in most dynamic microphones, the KSM8 makes use of a silk-thin hydrophobic (water resistant) woven fabric, along with a small quarter-sized traditional foam shield just at the very top. The cartridge assembly is made up of multiple stages and technologies, each one designed with specific sonic goals in mind. Everything that went into the new KSM8 could easily fill a book; for the best explanation complete with video, an exploded capsule animation and more, check out www.shure.com/ksm8. 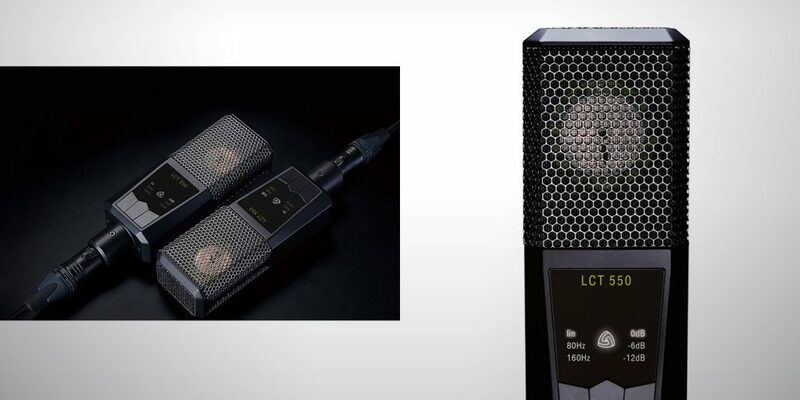 While there are many flavors of cardioid patterned dynamic microphones on the market, in broad terms they share the common traits of pronounced high-mid presence peaks and noticeable proximity effect. Note that this presence peak is why we love them so much on snare drum, guitar cabinets, and vocals. The proximity effect gives us the chesty broadcast radio voice, and is also why many dynamic models work so well up close and personal on bass cabinet and kick drum. Dynamic mics are also popular since being purely mechanical devices, it’s hard to overload them. They can handle very high SPL… again, think snare drum and guitar cabinet. The problem with many directional dynamic mics is from a performance/consistency standpoint. The proximity effect can pose endless problems, especially for singers, because why would a vocalist hold a handheld microphone in a fixed spot at all times? And so, the KSM8 team set out to make a more sonically accurate dynamic cartridge by lessening the presence peak, losing the proximity effect, and improving off-axis bleed. This is not the first instance of a company grappling with proximity effect on a dynamic microphone. The most well known solution so far was Electro-Voice’s Variable-D technology, found in the RE15, RE16, and RE20. Sound not only enters a mic from the front, it also passes into the rear of the microphone, hitting the rear of the diaphragm, which contributes to the proximity effect. For a down and dirty example, take a single-pattern large-diaphragm condenser and talk into its back side. Almost all you will hear is low end. In most dynamic microphones this sound enters at a fixed distance, but back in 1954 E-V’s solution was placing multiple entrance points down the handle of the RE15 and RE16, and down the body of the RE20. These multiple points eliminate proximity effect by breaking up the sound — highs enter closer to the top, mids next and so on. With the KSM8 Shure solved the issue another way, by using a technique common to condenser microphones: a second rear-facing diaphragm. Sonically this imparts the proximity characteristics found in omnidirectional microphones. Additionally the rear-hitting sound is reversed and redirected inside the KSM8’s cartridge design. I feel a bit like Doctor Who at this point, telling folks it’s as simple as “reversing the polarity of the neutron flow,” so my best advice is to watch the video on Shure’s site and it will all make perfect sense! The KSM8 uses a dual-diaphragm moving coil cartridge with a cardioid pickup pattern. 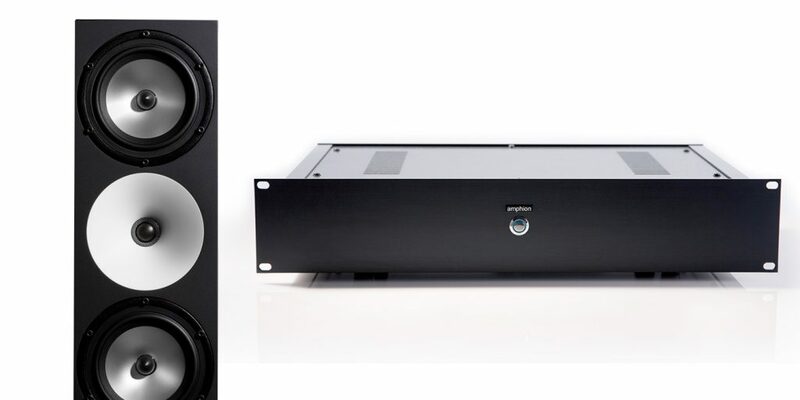 It has a 40 to 16000 Hz frequency response, a 300Ω output impedance, and a sensitivity of -51.5 dBV/Pa (1.85 mV) at 1 kHz, open circuit. Overall it is a mid-flat mic with low-end roll off around 110Hz, and rather than a single 5-10 dB presence peak around 8 kHz (like an SM57), the KSM8 offers three less pronounced peaks at 2.5, 4.5, and 8.5 kHz. This makes it much more sonically even and natural-sounding than many standard dynamic mics, but also still offers just enough life to keep the mic out of faux-ribbon territory. The mic comes in a modest yet classy kit with a hard, zippering clamshell style case and a soft Shure mic clip similar to the KSM9’s. At its NAMM launch, product manager John Born and the design team talked about and demonstrated how the KSM8 worked on voice and how its tone did not change whether you were half an inch or half a foot from the mic. Try this with most other handheld dynamics and cardioid handheld condensers, and you will hear that these small distance changes can yield noticeable tonal and level fluctuations. The other thing apparent at the presentation was how natural and full the KSM8 sounded vs. traditional cardioid models which thrust the voice brightly forward. Then the team went on to mention how much the beta testers who were using the microphone at concerts and speaking events also appreciated the natural sonic bleed of the mic. Bleed is typically a bad word with microphones, especially in live use. For this reason many over-ear, lavalier, and even podium mics use omni capsules, because despite a heightened possibility of feedback, they can actually do a better job at capturing a smoother and more even vocal performance, since omni mics are effectively free from proximity effect and off-axis coloration. While it has a cardioid pattern, the KSM8 exhibits omni-like characteristics and benefits in its off-axis rejection. The sound that bleeds into its sides is quite neutral, being neither thin nor hyped; it’s sonically similar to the tone and sound of the capsule on axis. In a live situation there will be bleed from drums, screaming guitar cabinets, and floor monitors. It’s better to have this bleed sound smooth and natural than spiky and peaky in the mix when the singer stops singing. 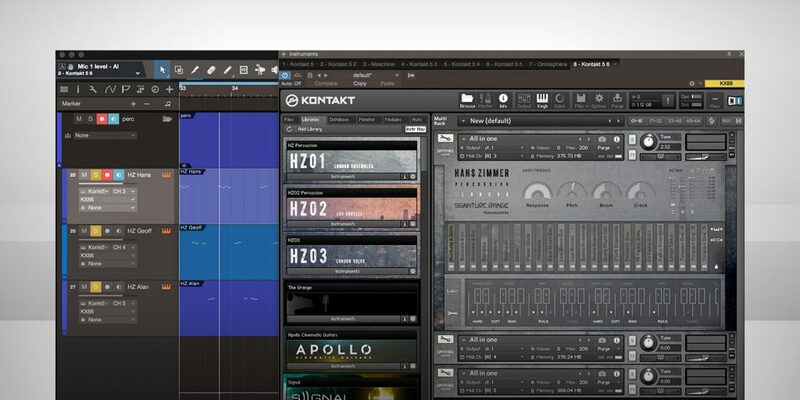 I will jump ahead and concur that in my time using the KSM8 live as a vocal mic, especially on backup singers, that I have had less issues with annoying cymbal and guitar bleed jumping out of the mix… and that means less use of gating and fader riding. Of course, with all of this talk of happy bleed, consistency, and naturalness, I could not wait to get as many KSM8 mics as I could and mike up an entire drum kit! Shure kindly obliged and sent me six KSM8 mics for a week to play with just on drums. I used a 4-piece Pearl kit with the mics distributed as kick, snare, toms and overheads. After tracking and side-by-side comparison with more standard drum mic fare that included Shure’s SM57 and Beta 52A, Telefunken’s M80, M81, and M82, and Audix’s i5 and D6, my first impression was that the KSM8 could not be more different from the crowd. First up, the sound was not as instantly open and forward as I am used to. It made me aware of how much we now rely on purposely tuned drum mics and how much the usual presence peak plays into our modern drum sound. By contrast the KSM8 was smooth, laid back and even a touch dark-sounding. While it was not a sound I would normally choose, I found upon playing the tracks back and mixing them that they take EQ quite nicely. I liked their natural tone, which would work great for vintage R’n’B like the Daptone sound and/or jazz. In both cases the KSM8 and its bleed gave the drums a more blended single-instrument sound vs. a modern “every kit piece isolated and in your face” sound. With this in mind, I did some more tracking with four KSM8 mics in a Glyn Johns set up with a loose tuned vibey 1960s Slingerland kit; the sound was instant gelled vibe. Once my drum tests were done, I sent four of the mics back and kept a pair for a much longer set of tests. I used them on electric and acoustic guitars before settling into their primary application on vocals. When using the KSM8 on electric guitar cabinet, I had similar feelings to my drum experiences. I had to scrub my mind clean of what I think a dynamic mic sounds like on a guitar cabinet. On the plus side, the lack of proximity effect gave the amp more focus and less boomy buildup, meaning I had to roll off less low end at the board, but it also lacked the usual bite and punch of an SM57 or Audix i5. This is the one area I would call the KSM8 a tad more like a ribbon, or a classic condenser like the Mojave Audio MA-201, especially in its top end. Because of that, it pairs well with a standard dynamic in a two-mic setup where one might usually use an MA-201 or a Royer R-121. On acoustic guitar, again, think laid back and natural. In this instance it does not sound like a typical dynamic mic at all. Remembering the singer/songwriter focus of our April issue, I think the KSM8 could be a great mic for great-sounding songwriting sessions. The guitar player does not need to worry as much about movement and swaying, thanks to the mic’s controlled proximity effect. Before I forget, have I mentioned that this mic excels on vocals? I know this is supposed to be an instrument-miking issue, but let’s give the KSM8 props for its primary design aim. From singing to presentation to broadcast and podcast, the KSM8 is even, natural, and has a nice a touch of warmth. It is also less prone to mouth clicks and plosives than a typical condenser. The KSM8 in a podcast / voiceover situation needed much less EQ than I normally use, and the talent did not need to be as concerned with being right up on the mic. For this reason, the KSM8 could make a nice name for itself in radio and broadcast booths. For this reason I also used the KSM8 somewhere I would never think to use a dynamic handheld mic — on a video shoot. I was doing a video with eight people thoughout a single day in a close-up MTV/Big Brother confessional-style head shot setup. I didn’t want to mess with setting and re-setting a lav mic. The KSM8, just in front of the lens about a foot from the actors, was a perfect solution and the end result sounded great. My best way to wrap up this review is to say that everyone who has heard and used the KSM8 on vocals has been impressed. The Worship Director at the church where I do sound wants to know when we are purchasing some! It’s also proven to be a very nice alternative to traditional large-diaphragm condensers in the studio. On instruments it will take some time and experimentation to find your favored uses, but Shure has definitely hit on something new and special here. I hope (and expect) the KSM8 will attain classic status like its many siblings before it.